This year we have really put a heavy focus on Language Arts (including Reading) for Amber. She tends to gravitate toward Language and History as her favorite subjects. She does love the occasional science lesson and lab activity. Math never gives her any real trouble and she is accelerated in that subject. However, the subjects that make her eyes light up are language and history. To simply say that I have been disappointed in her previous schools' language programs is probably the most diplomatic and kindest way to state it. During Amber's first semester being homeschooled, which was the last half of 4th grade, we found that she is quite good at writing despite the lack of attention it received in her school. So it was no surprise that when deciding on Amber's curricula for 5th grade, I searched out items to include in the broad Language Arts subject to encourage her. I found plenty, it was enough to fill the whole school day for everyday of 5th grade. Quite obviously, I needed to pare this down to something less intensive but still allowing an emphasis to be placed on language. I did decide early on to use the BJU Press English 5 curriculum. It is a full Language Arts curriculum that includes grammar and writing. 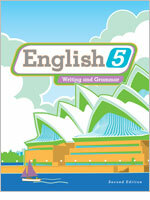 So far, seems like a great resource and we have enjoyed the grammar portions of it. The writing units touch a little on creative writing, but mostly on different types of expository writing. While the BJU English 5 is a lovely curriculum that provides a good balance between grammar and writing, it just isn't enough for Amber's interests. More was definitely needed to achieve exactly the right mix of resources to round out our Language Arts curriculum. Initially, I decided on and purchased Wordsmith Apprentice as a creative writing curriculum. I know we could just wing the creative writing, but I wanted something formal that kept us accountable and encouraged us to not let this be one of the subjects that was pushed aside during busy weeks. Things always have a way of changing when I read too many curriculum blog posts. Shortly after our school year began, I read a curriculum post on another homeschooling. This family is using the NaNoWriMo Young Writers Program, which I had never heard about. It looked intriguing, but what really sold me was the downloadable pdf workbooks they provide. It is a whole program to guide a young writer through the novel writing process. I showed the website and workbook to Amber and she LOVED the whole thing. Our plans for creative writing immediately changed and we are slowly working through the workbook in preparation for November when Amber will be writing her very first novel! Even intentionally adding a creative writing class to the schedule still didn't seem enough for language. It felt like something important was missing. During my curriculum research I happened upon Ambleside Online. I can't say that we are Charlotte Mason homeschoolers, but I do agree with some of the method. I would say we are eclectic leaning toward a Classical Education with some Charlotte Mason thrown in. Even though we aren't Charlotte Mason homeschoolers, Ambleside Online is a wonderfully informative site and helped me find the missing piece to our Language Arts curriculum - Literature. I have always loved to study literature and it just feels like that has been missing from Amber's education. Her previous schools did occasionally require specific books, but mostly it was free reading. Her dad and I have tried over the years to recommend quality books to her and we actively discouraged some of the trendy fiction books that, in our opinion, are simply mental junk food. Using Ambleside Online, Core Knowledge, and my own reading experience I have come up with a list of books Amber will read this year as part of a Literature study. We have selected various study guides / unit studies to facilitate our discussions of each book. We do not intend to do indepth daily studies of each book, but instead use an informal discussion format with occasional activities. Each book will take one month or less, depending on our time availability and the reading difficulty of the book. We started with The Adventures of Tom Sawyer and completed the study in 2 1/2 weeks. This included reading & discussion about the author, learning about writing mechanisms employed in Tom Sawyer, identifying Mark Twain's thoughts on social issues, and discussions of the plot. We both thoroughly enjoyed our "book club" afternoons and can't wait to start the next book. There is also a collection of poetry that I would like to introduce to Amber, but I'm not sure how that fits with our schedule. Again, this is from Ambleside Online and Core Knowledge. I think for 5th grade, poetry may have to be informal and something we do when we feel like reading together, instead of a well defined portion of language arts. I do plan to include Poetry as an additional class in 6th grade. 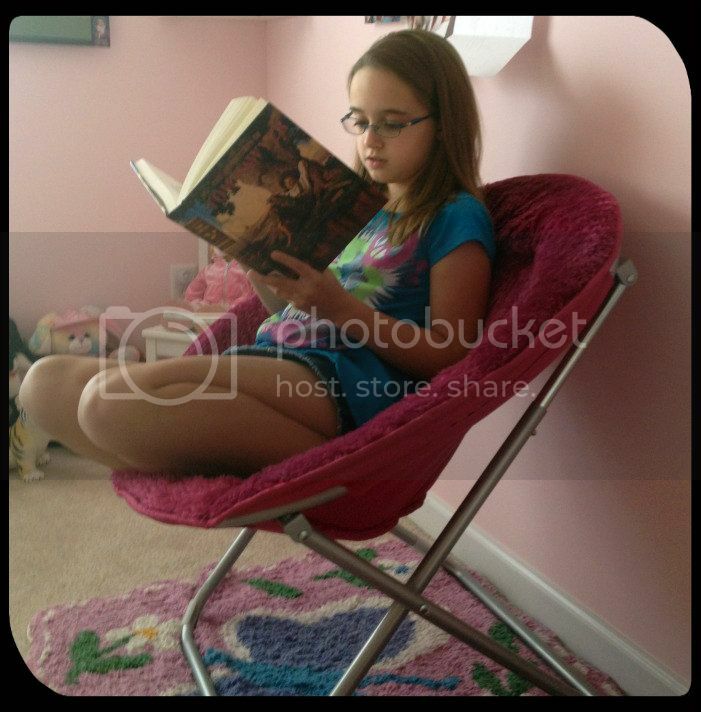 Amber does also have the BJU Reading 5 curriculum, but we are using it mainly to focus on reading comprehension. It is not as strong of a curriculum as I'd like and we have found it to be one of our least favorite curriculum choices this year. I doubt we will use a formal reading curriculum in 6th grade. That is the long story of why we are doing so much more this year in the realm of Language Arts. I hope it all works together well and fosters an even greater love of language in Amber. Any comments on how you implement Language Arts in the middle school (or late elementary) years would be appreciated. I'm always looking for new ideas! Thanks for all the info! I'm starting to plan for next year and you have helped tremendously! Christy, I am planning to homeschool my daughter for 5th grade this year, and a google search brought up your page. I found your plan very helpful. I wonder now that you had the year to complete it, are you glad that you used this curriculum? How did it work out, and are you making any changes for the next year? Tracy, We were very happy with the majority of the Language Arts curriculum. We did modify it halfway through the year, because we dropped the reading program in favor of more emphasis on literature study. We also stopped using the majority of the writing chapters in BJU English 5, and we switched to Writing with Skill Level 1. There was nothing wrong with the writing lessons in BJU, in fact they were helpful at the beginning. However, Amber needed something more rigorous. For 6th grade we are continuing with BJU English 6 (I even already have it), finishing Writing with Skill Level 1, and moving to Level 2. There will be more literature studies, and I am considering The Creative Writer. Again, we will not use the majority of the BJU writing lessons, but just the grammar lessons. However there are a few of the writing lessons that may be useful. p.s. Amber is starting to outgrow Justice because it is too sparkly and not always "big girl" enough.